Maximize payment for E/M services by learning everything you need to know about this complex section of the CPT coding system. Evaluation and Management (EM) codes report office visits, hospital visits, consultations, emergency services, home visits, and other "visit" type services. Most health care professionals use Evaluation and Management (E/M) codes extensively to report office visits, hospital visits, consultations, emergency services, home visits, and other "visit" type services. For many medical practices, E/M codes account for the majority of services provided. Maximize your payment for E/M services with the completely revised 4th edition of PMIC's best-selling E/M coding kit. Learn everything you need to know about this complex section of the CPT coding system. 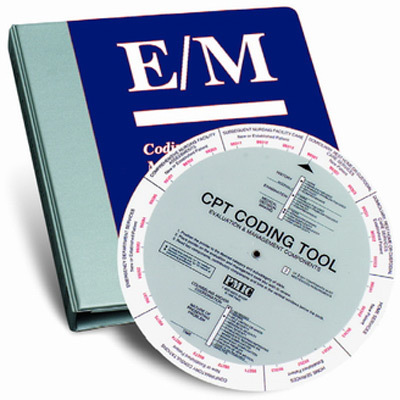 The kit includes a comprehensive instruction manual packaged with one of PMIC's famous CPT® coding tools.